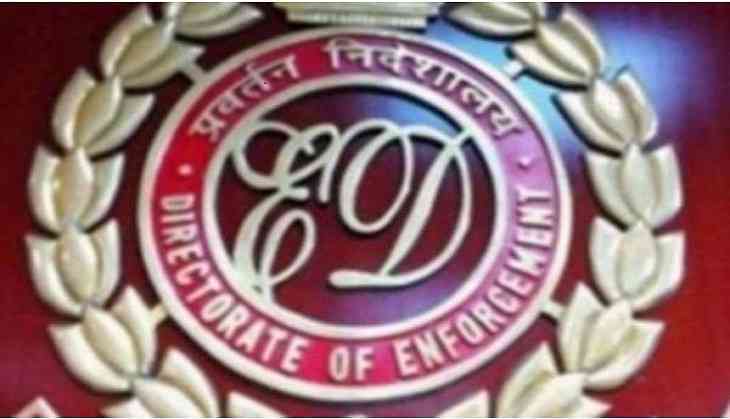 The Enforcement Directorate (ED) on Saturday attached assets worth Rs. 300 Crore of the Rose Valley Group of Companies and its Chairman Gautam Kundu in the ongoing probe under the Money Laundering Act. The investigation by the agency revealed that the Kolkata based firm collected more than Rs. 17000 crore from the public at large throughout India by luring depositors with false promise of high return/interest on their deposits. Around Rs. 8600 crore remain outstanding to the public by the company, said the ED officials. The attached properties include six hotels located in West Bengal, Assam and Bihar; 17 acres of an amusement park in Tripura; office space of 1, 46,364 Sq. ft. in prime location of Kolkata and 11,445 Sq. ft. in prime location of Bhubaneswar; 13 pieces of land belonging to Rose Valley Group of companies and three flats along-with garage space acquired by Rose Valley Group of Companies in one of the best residential societies of Kolkata . The company diverted and siphoned off the amount through cheating and has no real business to repay this amount, the officials said. The ED during investigation had earlier identified and attached properties having market value of around Rs. 1650 crore, including several hotels, vehicles, land and cash amounting to around Rs. 350 crore. With this attachment, the total market value of attached properties in Rose Valley Group of Company Cases has reached around Rs. 1950 Crores. Kundu was arrested by the agency in March 2015 and is still in judicial custody. Further investigation is on.